Can You Place a Value on Vacation? Do We Need All Those Conferences? The answer is yes! The proof is in the research. Over the past decade, there's been much research done on the effects of vacations on health, work performance, relationships and lifestyle. The on-going Framingham Heart Study found that there is a 30 percent greater heart attack risk for men who didn't take vacations, compared to those who did. Women who took vacations only once every six years were almost eight times more likely to develop heart disease or have a heart attack, compared to women who vacationed at least twice a year. And it's not just health risks at stake. Harvard Business Review says your brain needs to take a break from work once and awhile. Taking periodic breaks helps you to gain fresh perspective and energy, and an engaged brain does better on the job! According to the latest news from ARDA (www.arda.org), 169 million Americans did not take their earned vacation days last year, AND 429 vacation days went unused in 2014! You know you need to take vacations because 60 percent of you feel you deserve a vacation, yet 59% of you feel you are vacation-deprived. Take a vacation. If you don’t you run the risk of total burnout! If you've owned a timeshare for any length of time, you already know that the timeshare industry promotes taking regular time off, especially with family and friends. Vacation ownership offers the perfect opportunity to de-stress in the resort of your choice, with plenty of space to spread out and privacy to unwind. In addition, there's a choice of 1,000 different timeshare locations around the world, and a substantial savings over regular hotel vacations. Timeshare owners save $18,160 over 18 years of vacationing with timeshare, compared to an average hotel vacation over the same time period. That alone is enough to reduce a lot of your stress! Howard Nusbaum, ARDA President and CEO, states, “timeshare owners tend to think of vacationing as a necessity not a luxury, as a recipe for happiness. How do you place a value on that?" Pretty easily when you include all the other benefits of vacationing too! It seems like every week - sometimes even daily - there is some form of industry conference to attend. With the rise of digital networking, many believed that the need for face to face interaction would diminish. After all, it's much easier to watch a webinar in the comfort of your office, then to deal with the hassle of airport lines and rental cars. And there's all that time and extra work to prepare to leave and to catch up on when you return. But conferences are not diminishing, in fact, the opposite is true - they are big business in all industries and the timeshare industry is no exception. Statistics from the U.S. Bureau of Labor indicate that conventions and other such events are expected to expand by 44 percent from 2010 to 2020. That’s well beyond the average projected growth of other industries. The timeshare industry is following the convention trend. We've got GNEX, SOIC, Regional ARDAs, Fall ARDAs, Annual ARDA, the Canadian Resort Conference, and the list goes on. Conferences offer networking opportunities. Connections are made that can be good for your business. Even if it isn’t right away, that cocktail you had with a business owner may result in a beneficial future relationship. 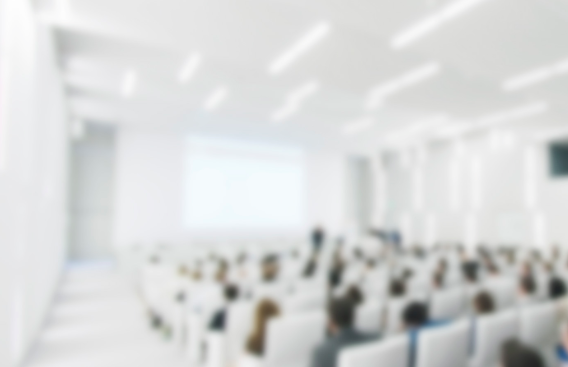 Conferences can be a valuable learning tool. People new to the industry can gain valuable knowledge from the seminars and workshops.Veterans can update their skills and keep on top of trends. Conferences can be exciting, especially if you are a speaker and you get a lot of attention as you expound your views for all to hear. As a participant, there's usually something to take away from the conference that stimulates. Regionals can be especially helpful for those working at resorts who can't get away to attend the bigger conferences. With so many conferences, information is often repeated. The same speakers tend to be at all conferences. Conference planners are determined to find the most fascinating location for the conference. Sure it's fun, and our industry is all about great locations, but how much actual work is getting done? Who’s minding your business while you are away? That time away from the business can mean a loss of productivity. First, there’s all the prep work you need to do to get away for the week—you might have to train someone else to do your job or to take over responsibilities, and when you get back, more time is needed to catch up on all that you missed. There really is a conference industry for those companies that don't want to plan their own. The conference industry is so big that it has its own conference and industry awards. Ever notice how many vendors set up shop at the conferences and post their company names all about? They are sponsoring conferences to sell their products and fortify their connections to members of their distribution chains. Sometimes it seems like this interaction is overshadowing the true purpose of conferences. We'd like to hear about what you think. Is our industry having too many conferences? Could we spend the time more productively? Comment below with your views! 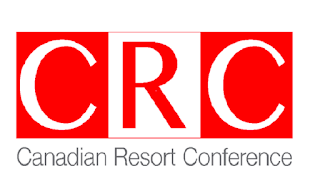 Those were the words of emcee Jim Madrid, owner of Advance Corporate Technology, as he offered the closing remarks at the 2015 Canadian Resort Conference (CRC). The CRC, one of the major events of the timeshare industry, ran September 9-10 at the Pan Pacific Vancouver Hotel in British Columbia. "As industry leaders, we cannot be content with simply staying the course and following the trends. We need to step up our game by setting the course," stated Canadian Resort Development (CRDA) President, Jon Zwickel. In his guest column for the National Timeshare Owners Association (NTOA), Zwickel offered more words of wisdom garnered from the conference. Zwickel says the diverse base of industry stake holders (HOA’s, resellers, exchange companies, rental companies, management companies, developers and suppliers) are not always aligned in their interests. An atmosphere of cooperation needs to be developed and a pooling of all collective resources. Conference speakers featured industry experts such as Greg Crist, CEO of the National Timeshare Association, Robert Kobek of Customer Count, Darla Zanini of ARDA International Foundation, Nigel Lobo, VP of Resort Operations, Grand Pacific Resorts, and many more. As a result of the conference, Zwickel lists several programs to consider—some a continuation of programs already being implemented in the industry. Defining standards for our resorts and then committing to maintenance programs that support those standards. Renewing our resorts with capital expenditures that are responsive to our markets. Exploring and creating ways to provide unique, authentic, fun vacation experiences that appeal to the diversity of the market. Refreshing sales methods to compel the next generation of vacation owners. Establishing exchange opportunities that promote owner engagement. Respecting the environment along with the local community. For more information contact www.crda.com. Remember the old Club Med Days? Club Med was one of the first to offer all-inclusive properties and usually the first resort group that people thought of when considering this option. Now there are a number of resorts that are all-inclusive. The popularity of the option has continued due in part to the demand for cruise vacations, but mostly to the timeshare industry whose great success with the concept has contributed to the staying power and growth of all-inclusive vacationing. Timeshare's "home away from home" atmosphere is a natural match for all-inclusive service. Not only can the vacationer relax in a large, comfortable space in a beautiful setting, but an all-inclusive package also takes the hassle out of vacation planning with offerings of planned activities, special VIP services such as early and late check-in, access to concierge services and preferred accommodations. There’s also the freedom to experience many different cuisines from buffets and specialty restaurants as well as opportunities to try a new activity and enjoy nightly entertainment. Often tips and taxes are taken care of too. All you have to do is relax and enjoy. It's obvious why all-inclusive has stuck around. Merriam Webster defines all-inclusive as: "including everything; especially: sold for one price that includes charges and fees that are often added separately." Generally, the "everything" Merriam Webster refers to includes meals and snacks, all beverages (usually domestic alcoholic drinks, but some resorts may include premium brands), daytime activities, and nighttime entertainment, plus taxes and gratuities. Don’t assume that all-inclusive means everything. The vacationer needs to check with the resort to find out the specifics of what is and what is not included in your package. Is it all the amenities of the hotel, or are certain things excluded? Guests may pay extra for spa services, specialty activities, off site excursions and other such things. Some resorts even offer different levels of all-inclusive. So ask about them all. The resort is not trying to deceive you, you just need to be an astute buyer, so there will be no surprises when you reach the resort. Occidental Vacation Club (OVC) was one of the first in the timeshare industry to fully embrace the concept of all-inclusive. All OVC holidays include unlimited meals and snacks, a la carte dining in specialty restaurants including unlimited alcoholic beverages; sports (including tennis on a lighted court, water polo, aqua aerobics and kayaking), use of the fitness center and more. Daily entertainment and a supervised Kids Club (ages 4-12) is part of the package where available on site, as well as nightly shows, live entertainment and all taxes and gratuities. Says, President Luis Namnum, "at many OVC resorts guests will find everything they need from fine dining to quick snacks, a great bar and lounge area, art gallery, hair salon and even bank services. Our club is known for its high quality all-inclusive experience and we are pleased to offer that possibility to members who stay with us." A recent article in Hotelexecutive.com reports that hotels are experiencing a resurgence of all-inclusive properties. Though long a trend in the industry, all-inclusive hotels are proliferating boosted by the emergence of high-end, all-inclusive resorts. Apple Leisure Group Executive VP/CSO, Javier Coll, was quoted, "fifteen years ago there was a mixture between the all-inclusive and the traditional resort. Now 99 percent of our customers choose to stay in all-inclusive resorts."